Registration is now open for the James River Rundown, a series of paddle races on the James River that takes place June 27-28 in the heart of Central Virginia. A grueling 100-mile endurance race begins the morning of June 27 at James River State Park in Gladstone, VA. It is one of the longest races of its kind on the east coast and will test the grit of even the most seasoned paddlers. 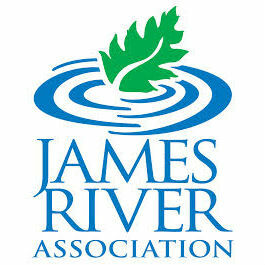 The James River Association has added two shorter races to the event this year and invites paddlers of all skill levels to register. On June 28, a 40-mile race starts in Cartersville, and later that morning a 20-mile race starts at Powhatan State Park. All of the races will culminate just past Robious Landing in Richmond at American Legion Post 354 for a post-race celebration. Competitors will traverse the river in kayaks, canoes, rafts and paddleboards, either as solo paddlers or in teams. There are no restrictions on what they paddle, just as long as there is no motor, sail, or anchored oar configuration and participants reach the finish line within the 40 hour cutoff. Designated safety checkpoints will be set up along the way, offering paddlers a chance to rest or camp. The family-friendly after party at the finish line should cure paddler’s weariness by offering food, beverages and live music. For more information on the James River Rundown, or to sign up to race or volunteer, visit www.jamesriverrundown.org.